Social WiFi developers head count varied from 3-4 to around 10. 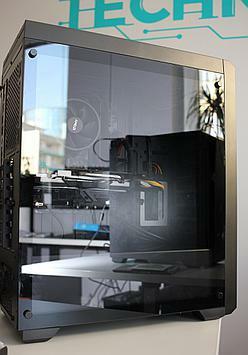 The company had various PCs - some with quad core Haswell i5, Ivy Bridge i7 or even older AMD CPUs based. Most had 16GB of DDR3 RAM and a 240GB SSD. The system used iGPU or some simple dGPU, even Nvidia NVS300 as all what was needed is to run two displays. The latest purchase was a Clevo laptop with i7-7700HQ and GTX 1050Ti. Most systems work for this day but some of them do start to show some age problems like random memory problems etc. The time couldn't be better to replace the oldest or most problematic ones with something new. A computer for Social WiFi development needs must run PyCharm and a large set of Docker containers (and local Kubernetes). 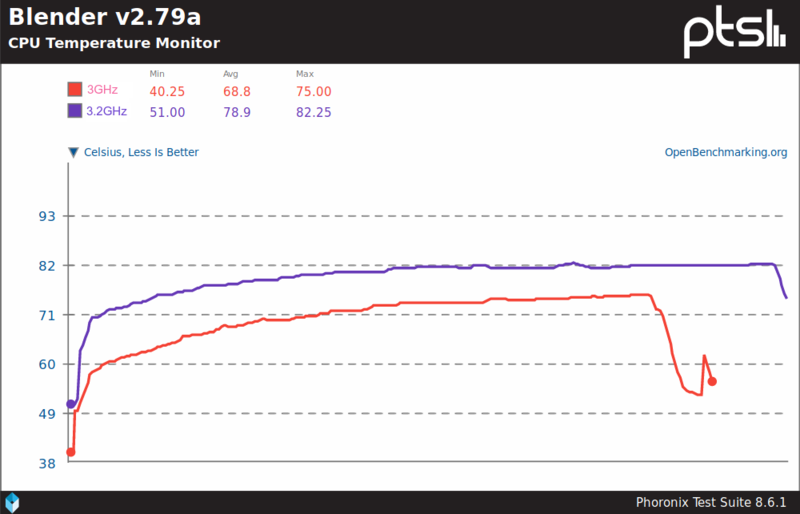 Usually CPU wasn't the problem but the RAM - 16GB wasn't enough to deploy both our legacy and current service versions. 240GB SSD also could get filled quite easily triggering Kubernetes to start cleaning stuff. Companies have a budget for stuff and money not spent will go to other activities. This was also true in this case. We couldn't just rush and buy gaming rigs of the century. It had to had a sane price and give us all needed features. So our initial estimate for a Ryzen 7 1700 based PC was around 515 EUR / 580 USD on the local Polish market. 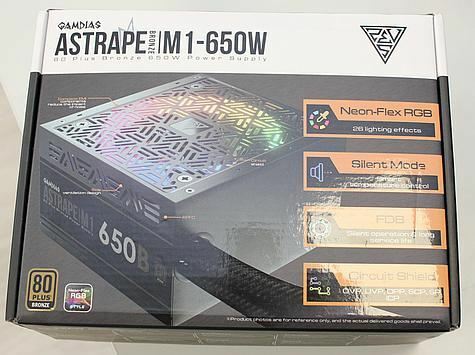 The price was very good and left us with a bit of wiggle room for making those PC more color-branded - having some RGB LEDs set to the company color. At first excluding RGB effects we planned for something less flashy in a small form factor like Chieftec CI-01B-OP and some non-RGB ASRock motherboard (due to prices at that time). With the RGB option approved we had to modify some of our component picks. 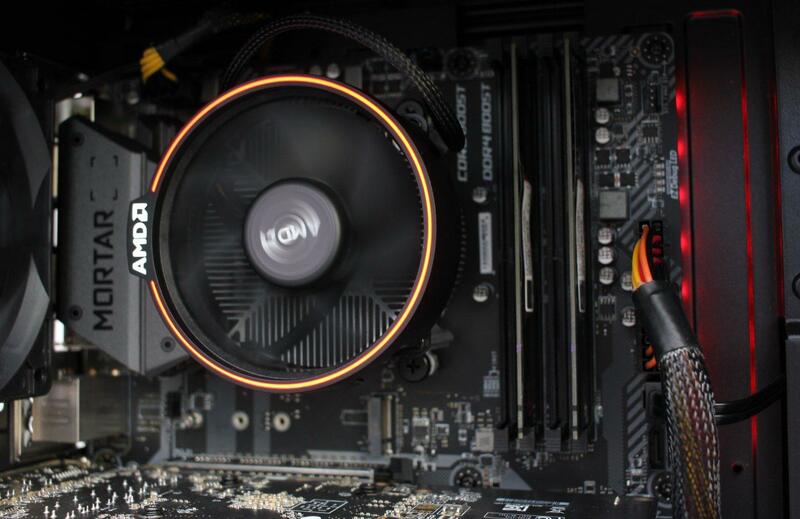 At the time of purchase the first two Ryzen generations were moving from sale to sale making room for upcoming 7nm third Ryzen series of processors. R7 1700 having nice 8 cores priced around 155 EUR / 175 USD locally with the Spire RGB cooler. Intel had little to offer in this price point, likely only 6-core i5-9400F. Intel usually has integrated GPU on board, while for R7 1700 we had to buy dedicated GPUs. iGPU can handle two displays and that is what we need. 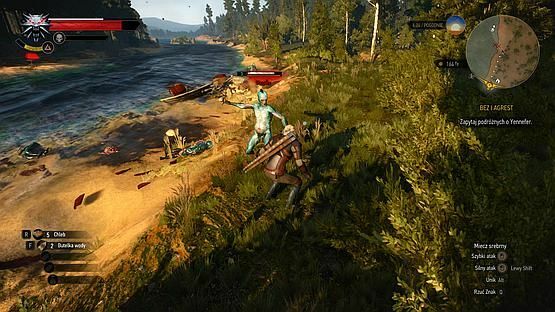 Gaming functionality is not something that was needed. AMD also has APU Ryzens but with lower core count which for us wasn’t an option. Without the RGB requirement we would likely pick first cheapest motherboard that meets our requirements and has good reviews. With RGB requirement we also had to pick something that can control RGB from Linux and that feat of strength was met by MSI via a community app on github nagisa/msi-rgb. 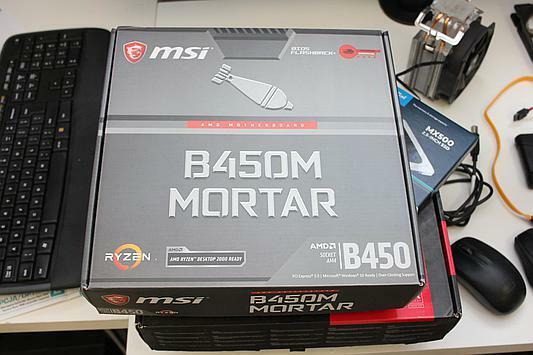 MSI has it own Mystic Light system and on the Mortar motherboard there are two JRGB connectors. 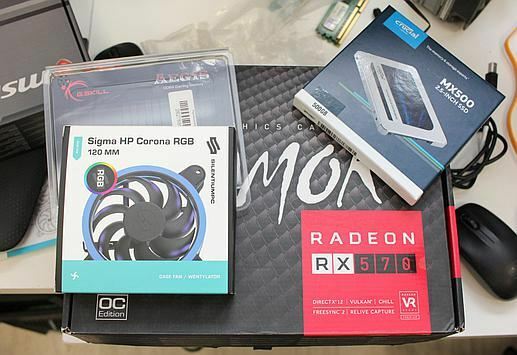 We connected the AMD Spire cooler and one RGB case cooler to them. Plus the motherboard has some LEDs on the back that are controlled by this system as well. One of local suppliers listed Gamdias RGB power supplies at a much lower price so we opted for those as they did have good reviews. Due to quantity limit we got two modular and two non-modular versions. The power supply has a silent mode which definitely makes it run quietly. There is also a RGB effect switch button. 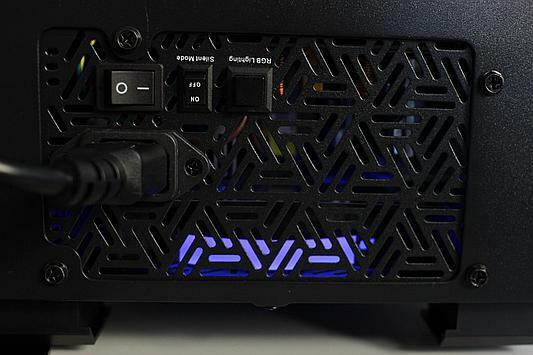 In a PC case with a PSU tunnel and PSU fan directed to the bottom of the case the RGB effect is limited only to the PC back, but still, a good PSU is a good PSU. 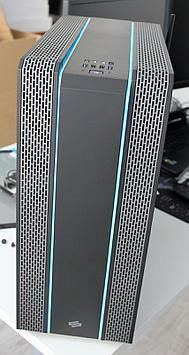 Both versions have long enough cables although the team concluded that the non-modular version has better looking ones. The GPUs were the only used part bought for this build. 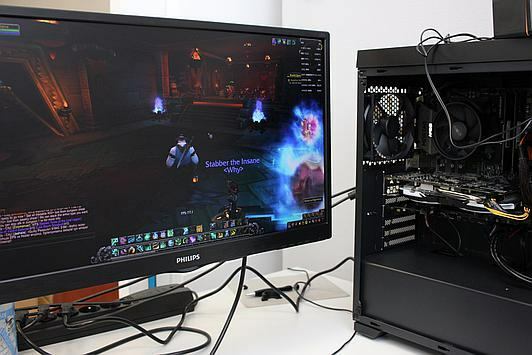 There is a lot of used and refurbished GPUs on the market but we wanted something more recent to avoid any age-problems we started to see in our old PCs. At the time of purchase the local market was quite flooded with AMD Polaris GPUs. A lot of ex-mining cards, lots of refurbished or OEM boards. The warranty can be sketchy but the price difference was quite significant so we went for it. One of cheapest kits at the time of purchase. 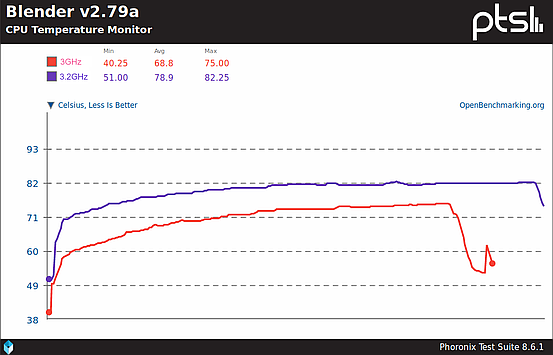 32GB and good 2933MHz frequency via XMP profile. Works stable with our Ryzens. Do note that it doesn't have a heat spreader, just a color sticker. The SilentiumPC Gladius GD8 case is quite standard - has a tempered glass side panel, PSU tunnel and can handle most systems with ease. What sets it apart is the front and top panels. 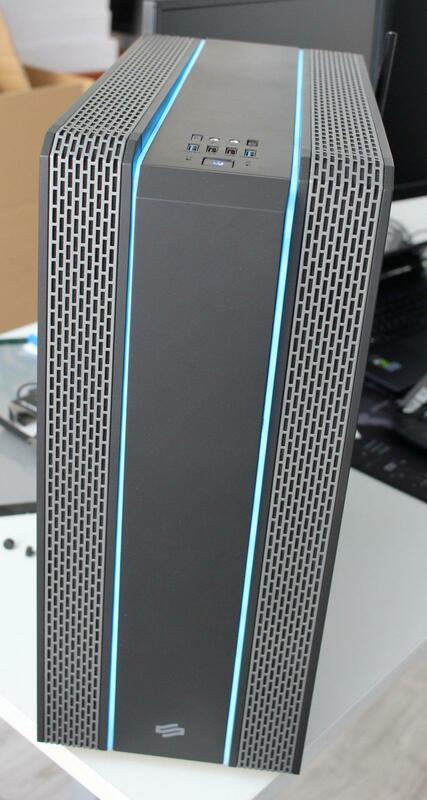 They have two RGB strips and and fancy mesh for ventilation. 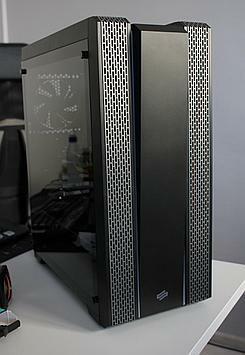 The mesh gives good but not the best airflow in this case. Our other RGB case options usually have a windowed front (like Sharkoon TG5) which gives worse airflow and becomes bit to flashy for our taste. Gladius case has a fan and RGB controller but can't be directly connected to MSI Mystic Light system. 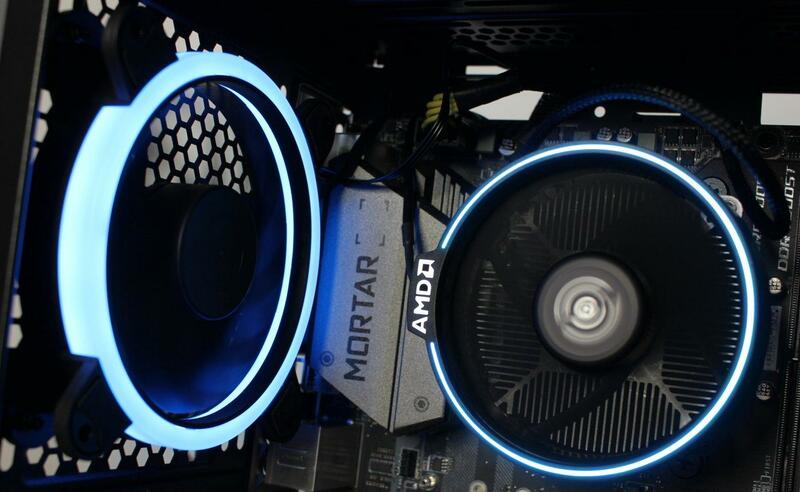 The effect switching button is all you can use for the RGB strips if you don’t use some other RGB controlling option compatible with given motherboard vendor RGB system. 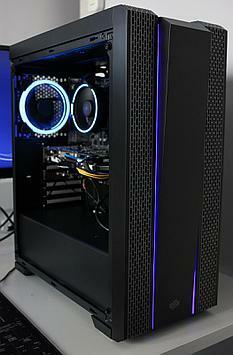 The case is quite good for low price it comes for. A downside may be the not-so-easy panels removal process or strongly glued foil over the cover glass. It took few hours for every developer to build his PC. Then add few more to migrate data, get the local development environment going and so on. From interesting troubleshooting cases I can mention two. One was with a motherboard not booting when put in a case where as it booted before. The LEDs would faintly blink once and that's it. What was the problem is the 8-pin EPS connection not fully plugged in. As the power supply has 2x4 pin it wasn't that easy to insert it while the motherboard was mounted so I had to connect the cable before screwing the motherboard in place. The other problem was with one of the systems not booting on the initial test. The ez-debug LEDs come in helpful indicating RAM problem. At first everything looked ok but it turned out the RAM sticks were in correct slots but were not pushed in nor locked in place... oh well, not everyone has access to the secret knowledge of PC building. But still quick debugging is something software developers like. We went for the RGB thing and as it turned out it needed some R&D to make everything working as desired. As our company color is turquoise it wasn't an easy task. The case strips were set to light blue while the inside needed some more work. The AMD Spire RGB cooler has a jumper on the side that makes it glow red. You have to remove it and connect the provided RGB cable. 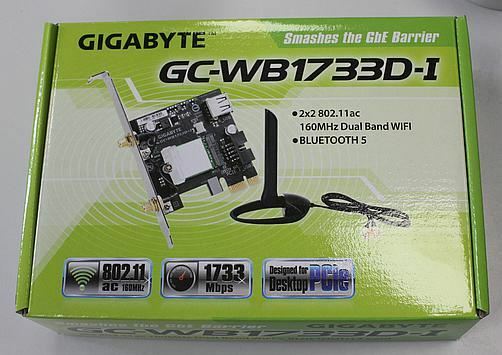 It connects to the JRGB connector on the MSI motherboard. Similarly with the RGB case fan we put on the back of the PC. The Linux tool did work but the colors were off. 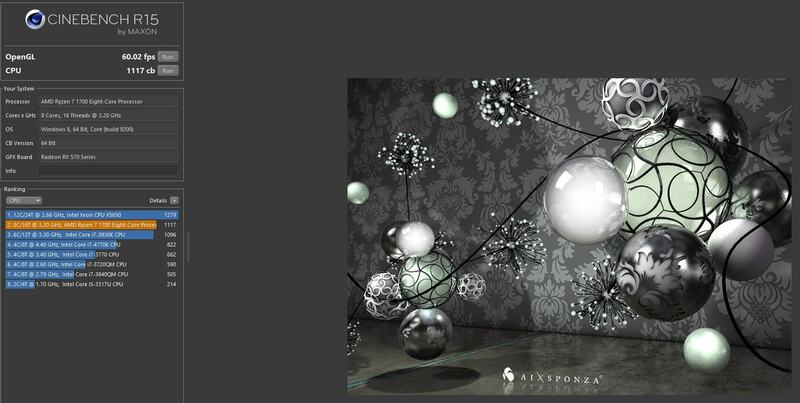 From what we found out initial setup must be done from MS Windows - set white (or any?) color with the MSI app and then your are good to go under Linux. 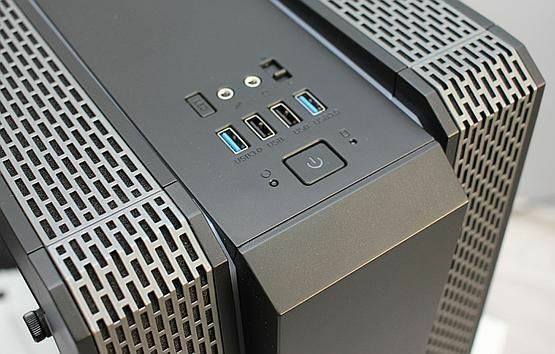 The new hardware needs some tests, benchmarks and comparisons to the old one. 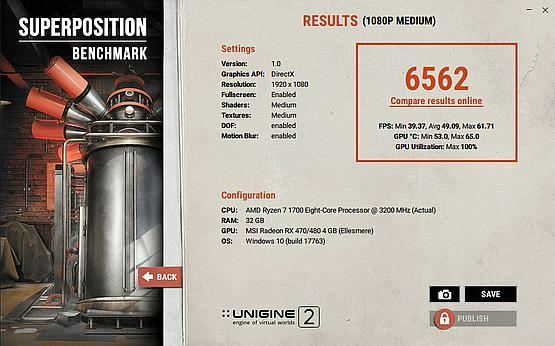 Under Linux I used Phoronix benchmark tool while under Windows I ran few synthetic benchmarks and two games. 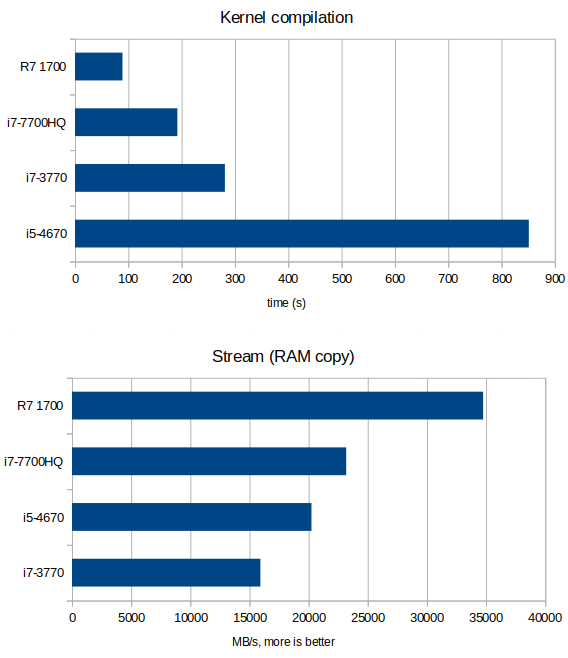 Kernel compilation scales well with CPU cores. The very bad Core i5 score can be an outlier as we had some RAM-alike problems on that box and also the development environment could still be working there to some extent. 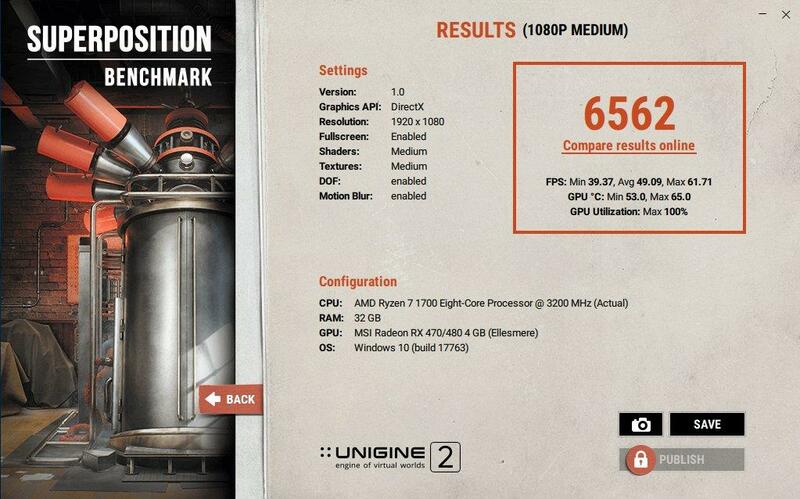 On Windows I ran few generic benchmarks - CPU-Z and userbenchmark - Game 54%, Desk 63%, Work 74%. So we got four new PCs for our software developers. They work as of now without any issues, are nice looking, quiet, have pretty colors and what not. Some of our old PCs will be re-used by others in the company. And we will be upgrading some older laptops to 8GB of RAM and 240GB SSDs to give them a second life.